Universal and multi-functional recovery gear for lengths up to 22,5m at 3.2 tons. If weight is paramount! With as low as 21kg just one third of any standard wire rope manual winch at same power and unsurpassed flexibility! Goodwinch is now for more than 15 Years a manufacturer of enchanced, rugged, durable and waterproofed winches. Heavy winches equipped with worm gear for commercial and professional applications like recovery of stalled or crashed vehicles, forresting a.s.o. Hydraulic winches up to 100 tons, Military-rated! Winch-Service-Packs A complete big and small Winch-Service-Pack to Overhaul your rig. 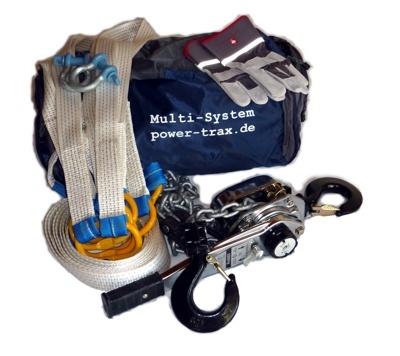 Winch-Accessoy-Packs Complete packagea of all Gears and Utilites for professional winching. 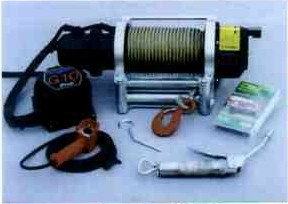 Winch Safety-Remote-Control This is our ultimate Safety Winch Remote Control with Emergency Cutoff and Battery Disconnect Solenoid. Roller-Fairlead Ultra massive Roller-Fairleads, zink plated and with grease pins. Winch Ropes High-Strength Winch Ropes with higher braking force and smaller diameter! 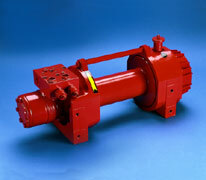 Winch-Motors Strong Winch-Motors for replacement or enhancment - waterproofed! High-Amp Connectors A combined High-Amp Connector-System capable of 160Amps cont. with additional control pins and compressed-air-connectors! High-Amp Wiring-Harness Waterproofed High-Amp-Wiring-Harness for AWG4 / 25qmm cables - suitable for removable winches, chargers, aux. power-units a.s.o. - build to your spec!